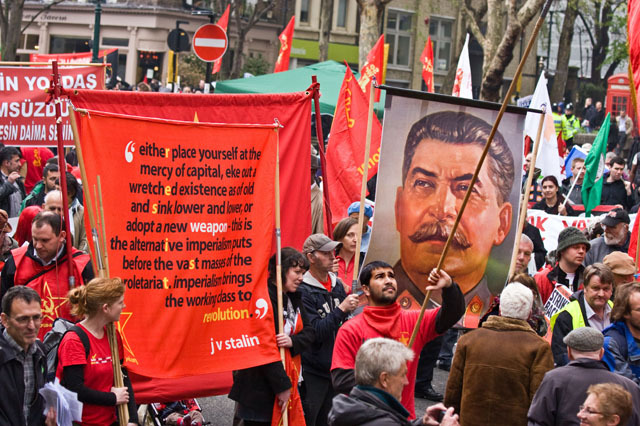 It’s 60 years since the world proletariat lost is great teacher and leader, Joseph Stalin. In the wake of his passing Khrushchevite revisionism brought defeat, humiliation and disaster for the world socialist movement. Since the tragic collapse of the Union of Soviet Socialist Republics it has become only clearer that Stalin’s life was one long struggle for Bolshevism, for the winning over of the masses to the marxist leninist position and a ceaseless fight against the agents of imperialism. 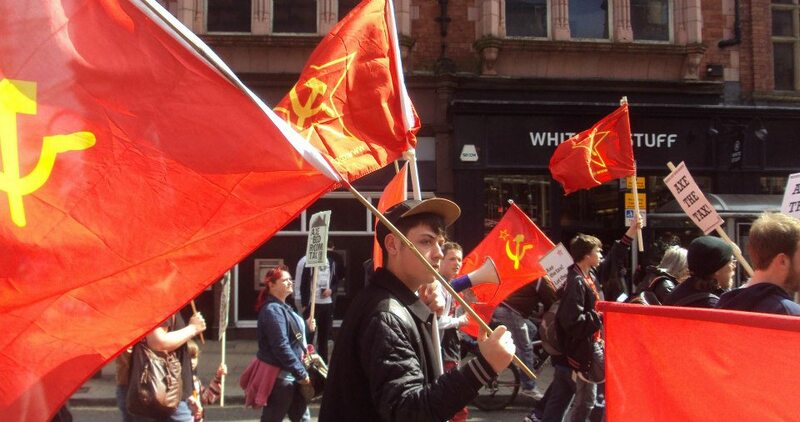 What a catastrophe it has been for the people of the entire planet, not only the USSR, to have seen the triumph of revisionism and the collapse of the Soviet Union! 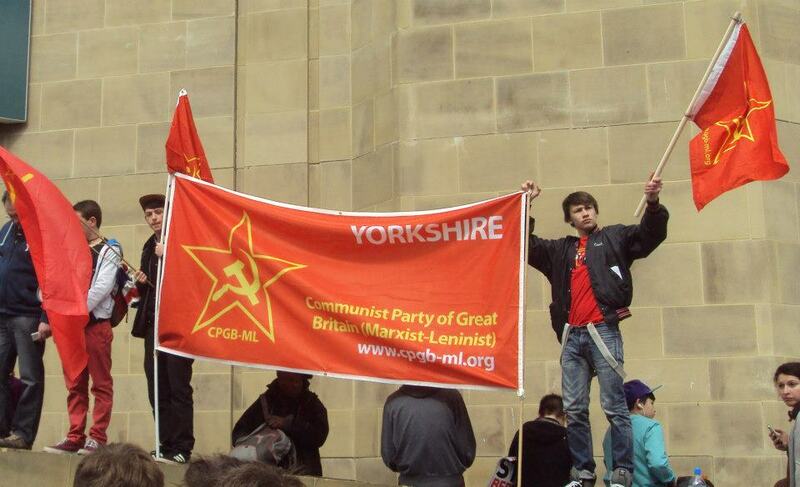 Red Youth raises high the banner of Josef Stalin! Labour, Tory same old story – fight all the cuts! 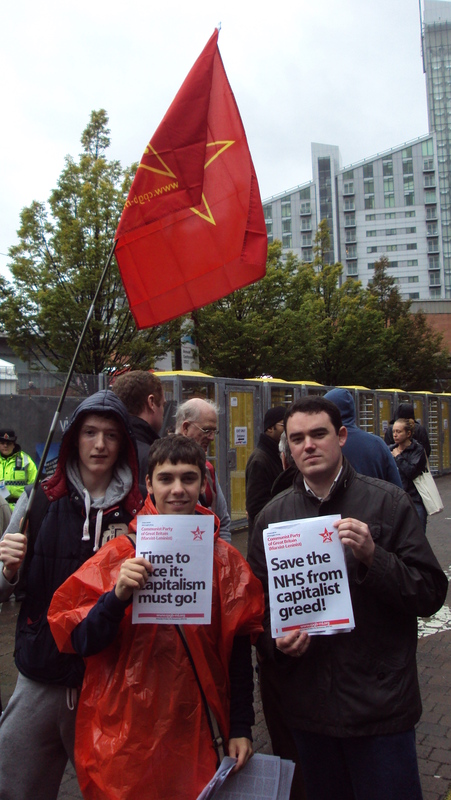 Red Youth and cpgb-ml comrades attended an anti-cuts demo outside the Labour Party Conference on Sunday. Comrades were there to highlight the role played by all the main parties who’re in service to big business, and to argue that a simple changing of the guard is not going to get us out of the mess we’re in. This desperate act reveals, in the most brutal of terms, that poverty in Britain is not only material deprivation, in which sky scrapers are erected and social housing bulldozed, but a multi-dimensional assault – physical and psychological – on working-class people. This reality is worse still in the north of England, Wales and Scotland. 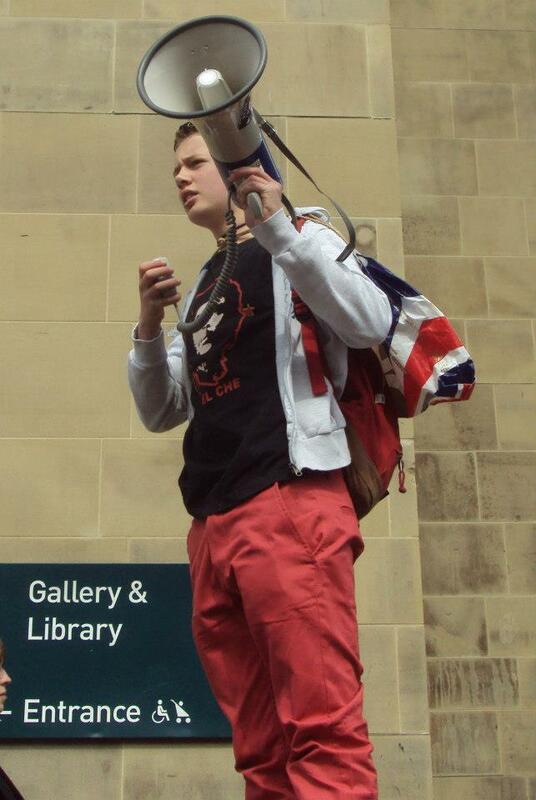 And, throughout the country, young people are bearing the brunt of British austerity. It is only logical, therefore, that – with a diminutive job market, an education system that is being progressively commodified, and a vanishing NHS – class antagonisms will intensify and uprisings may become as much a part of the British summertime as corporate-sponsored sporting events. From the student activist to the unemployed youth, in the classroom and in the street, young people are awakening to discover that our political and economic system is not designed to help realise their potential but only to exploit the labour of some and utterly discard the rest. This is not a charge from radical opponents of capitalism, but the findings of bourgeois investigation. Nor are these the dealings of shadowy businesses but the recognised and admitted practice of the world’s largest financial institutions. It is an astonishing figure, greater than the GDP of any imperialist nation, and it is the kind of wealth that could eradicate poverty for vast swathes of humanity. There could not be a clearer example of how income disparity and material and psychological deprivation is becoming more acute in modern Britain. 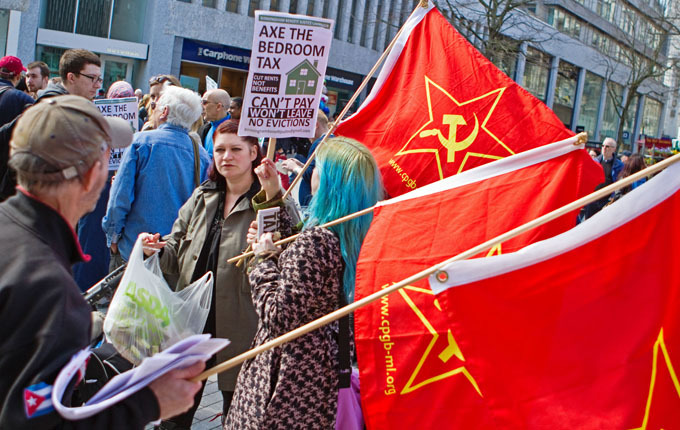 As welfare safety nets disappear, and government oppression increases, we should not only expect greater incidence of civil unrest but prepare to inject it with ideological direction. Communists must seek to build and lead popular mass movements for real change; for a mere change of government will not suffice. Only an entirely new system can offer our youth a positive future.